Scroll on down to listen to Abaddon Incarnate’s cover of ‘Dead Shall Rise’ from Terrorizer’s 1989 grind classic World Downfall and then, if you haven’t had the album in your life, listen to the original HERE. 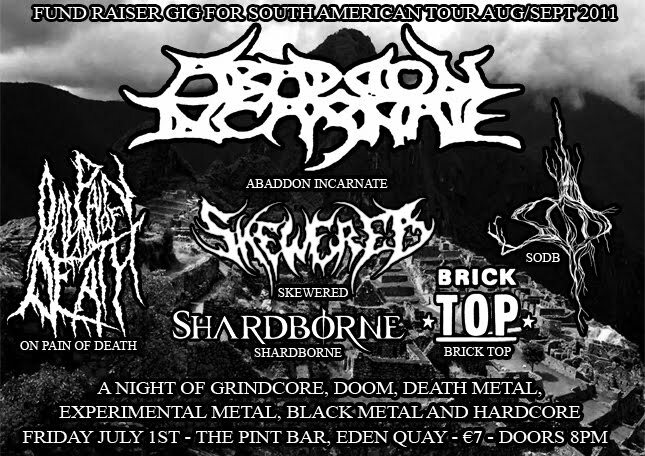 Abaddon Incarnate are playing next Friday (July 1st) in The Pint, as one last fundraiser show for their South American tour. They’re accompanied by a pretty impressive bill of bands too, which includes On Pain of Death, Skewered, Shardborne, Brick Top and Sodb. At €7, you can’t go too wrong.